Joe TrailMan Gaiters – Protect your shoes and your feet against rocks, sand, dirt and other trail debris. 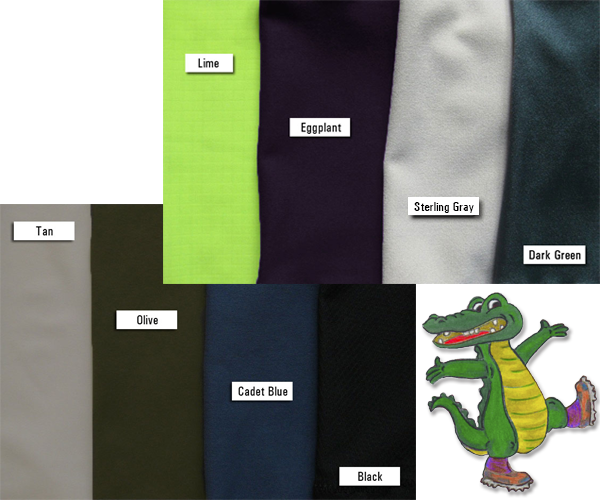 Joe Trailman Gaiters come in your choice of eight colors: Lime, Eggplant, Dark Green, Tan, Olive, Cadet Blue, Sterling Gray and Black, with FREE shipping to the United States. All orders are processed through PayPal – a secure online payment solution. You do not need a PayPal account to submit a credit card payment though PayPal. Simply click the "Don't Have a PayPal Account?" link beneath the sign-in area on the PayPal site, and you can enter your credit card and shipping info securely and without worry. Order a pair (or two!) today and leave the sand and rocks on the trail!